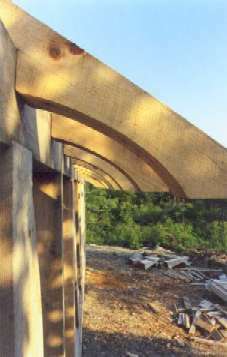 From Vermont and Maine, to New York, Connecticut, New Jersey and the French West Indies: we are willing to work with you, your architect and general contractor to create a frame that is most reflective of your desires and needs, wherever it may be. We also can provide design and engineering services if necessary. Examples of our work have appeared in two books: "Timber-Frame Homes" (pg 116) and "Garage: Reinventing the Place we Park" (pg 91), both on Taunton Press. 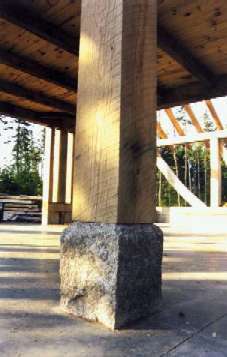 Hunger Mountain Timber Frames is owned and operated by Dennis Darrah who started timber framing in 1980 as an employee of Entwood Construction, one of the companies responsible for the timber framing revival. Dennis Darrah worked with Entwood through 1987. Prior to 1980 and from 1987-1997 he was involved in both residential and commercial construction as well as property management. 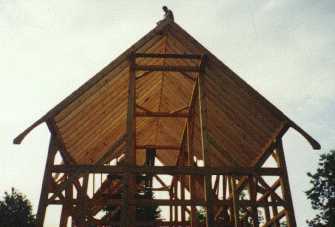 In 1997 he started Hunger Mountain Timber Frames and re-entered the timber framing market and has been framing continuously since then. 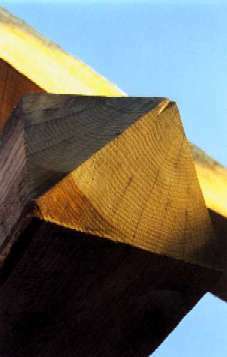 Hunger Mountain Timber Frames is a member of the Timber Framers Guild.